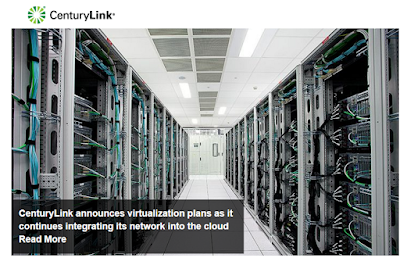 CenturyLink is on track virtualize 40 percent of its global IP core network locations by end of 2015 with plans to have full global virtualization coverage in its IP core network and data centers by 2018. The company said it has already built its NFV platform in 36 network and data center locations in seven countries, with plans to expand into a total of 44 locations by the end of the year. CenturyLink also was one of the first providers to use NFV technology to virtualize security features such as firewalls and a content delivery network (CDN) to distribute video through its Prism® TV service, providing quicker delivery of these services. In the coming months, CenturyLink will begin deploying a range of virtualized data and voice infrastructure services, including virtualized Multi Protocol Label Switching (MPLS) routers and Customer Premises Equipment (CPE) to enable dynamic delivery of scalable services for customers. "CenturyLink is taking its network assets and combining them with our expanded NFV platform and cloud services to create a customizable and dynamic applications marketplace infrastructure that will give businesses near real-time provisioning and more control over their service experience," said Aamir Hussain, CenturyLink executive vice president and chief technology officer. "The customer experience is a top priority for CenturyLink. Integrating virtualized services into our network and developing an interactive marketplace and portal for our customers allows us to be more responsive to market opportunities and meet changing customer demands. We are pleased that our efforts position CenturyLink as an industry leader in virtualization." CenturyLink began implementing network virtualization and automation in 2013 when it partnered with five vendors to develop an open environment through common API structures, creating interoperability and enhancing the creation of applications. In February 2014, CenturyLink announced its agreement with Ericsson to deliver a next-generation Operations Support Systems (OSS) and Business Support Systems (BSS) solution through a single, reliable transport infrastructure which can rapidly fulfill customer demands and create the support needed for implementing NFV and SDN services. In addition to Ciena, CenturyLink is working with several vendors, including Arista Networks, Nuage Networks, Red Hat and Supermicro to implement virtualization functions in its network and to deliver NFV-based versions of the vendors' current product lines. CenturyLink is preparing to launch NFV-enhanced services to enterprise and small and midsized business (SMB) customers based on Cyan’s Blue Planet NFV Orchestrator. Specifically, CenturyLink will use Cyan’s Blue Planet orchestration for their Programmable Services Backbone (PSB), its platform that for next-generation virtualized services to its customers. Blue Planet NFV Orchestrator bridges multiple technologies to instantiate virtual network functions (VNF) from multiple vendors. Blue Planet will add these virtual network functions to CenturyLink’s network for quickly providing software-enabled services and ubiquitous service coverage to CenturyLink’s broad set of customers. Cyan said its Blue Planet software can instantiate and control virtual functions, coordinate with physical and virtual network resources, and interconnect virtual functions (i.e., vFirewall, vDPI, vEncryption, vRouter, vDNS, etc.) to achieve service chaining. The programmability of the Blue Planet NFV Orchestrator allows carriers like CenturyLink to onboard and define new services through a flexible template-based architecture. The open architecture of Blue Planet’s NFV Orchestrator enables rich, multi-vendor environments within the NFV Infrastructure (NFVI), including support for different cloud management software and physical servers. In June 2014, CenturyLink sponsored an ETSI NFV ISG-approved proof of concept (PoC) solution based on RAD’s dedicated customer-edge D-NFV equipment running Fortinet’s Next Generation Firewall (NGFW) and Certes Networks’ virtual encryption/decryption engine as Virtual Network Functions (VNFs) with Cyan’s Blue Planet system orchestrating the entire ecosystem. The companies said their D-NFV allows the placement of VNFs where they will be both most effective and least expensive, including at the customer edge. 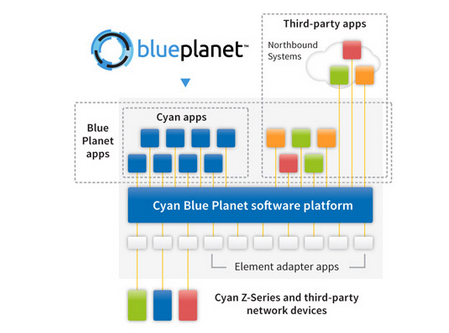 Cyan's Blue Planet can orchestrate both NFV and multi-vendor Ethernet services. Windstream will sell its data center business to TierPoint, a leading national provider of cloud, colocation and managed services, in an all cash transaction for $575 million. As part of the transaction, Windstream will establish an ongoing reciprocal strategic partnership with TierPoint, allowing both companies to sell their respective products and services to each other’s prospective customers through referrals. This structure will allow Windstream to focus capital on its core telecom offerings while continuing to offer traditional data center services to enterprise customers across a broader data center footprint. Microsemi announced an offer to acquire PMC-Sierra for $11.50 per PMC share, representing a premium of approximately 50 percent to the closing price on Oct. 5, 2015, the last trading day prior to the announcement of PMC's proposed acquisition with Skyworks Solutions. The offer price is based on the closing stock price of Microsemi on Oct. 16, 2015. 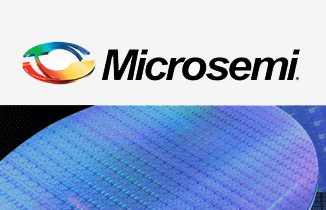 Microsemi said its offer is better than that of Skyworks because its cash and stock proposal would provide PMC shareholders with a substantial premium and immediate cash value, as well as the opportunity to participate in the significant upside potential of a global analog and mixed-signal leader with a highly diversified platform for growth and profitability. Under the terms of Microsemi's proposal, PMC shareholders will receive $8.75 in cash and 0.0736 of a share of Microsemi common stock for each share of PMC common stock held at the close of the transaction. The implied total transaction value is approximately $2.4 billion and the implied enterprise value is $2.2 billion, net of PMC's net cash balance as of June 27, 2015. "Based on extensive discussions with PMC over the past 18 months and comprehensive analysis, we believe this transaction offers compelling strategic and financial benefits for the shareholders of both Microsemi and PMC," said James J. Peterson, Microsemi's chairman and CEO. "This acquisition will provide Microsemi with a leading position in high performance and scalable storage solutions targeted for data center and cloud applications, while also adding a complementary portfolio of high-value communications products. Microsemi has a strong track record of integrating acquisitions and driving profitability, and we will benefit from increased scale, industry-leading margins, diversified market exposure, consolidated infrastructure and substantial cost savings in a combination with PMC." ZTE announced a Global Framework Agreement (GFA) with Telenor, the international mobile communication company, based in Norway. Specifically. Telenor has selected several of ZTE’s new products, including ZTE IP products for IP CORE, Metro-E and IPRAN scenarios. Specifically this includes the IP CORE product, IT platform ZXR10 T800, Metro-E IPRAN aggregation products ZXR10, M6000-S and ZXCTN 9000-E based on 400G platform. Additionally the access product ZXCTN 6100 series is included, alongside the large-capacity, super-high port density MPLS switch ZXR10 5900E and ZXR10 8900E - used to cover 11 models from access, aggregation, core, to security gateway broadband user access. These products meet the demands faced by Telenor and other operators around the world during branch application scenarios. ZTE’s wavelength-division multiplexing (WDM) products, such as the ZXONE 9700, meet Core, Metro, and Access demands. “With the existing equipment and service agreement, Telenor’s market approach and technology are completely integrated with ZTE’s technical strength in bearer network product research and development. We’ll continue to focus on the customer’s mobile broadband development demands to provide better service for Telenor’s global consumers,” said Mr. Xu Ming, General Manager of ZTE Bearer Network Product Line. Broadcom is adding a Reference Noise Cancellation (RNC) technology to its BCM63138 family of devices . Broadcom is the first to offer telecom carriers the benefits of RNC to enhance the performance of DSL customer premise equipment (CPE) without the need to replace or upgrade installed ADSL or VDSL2 infrastructure equipment. For more news, visit Broadcom's Newsroom. Broadcom's RNC implementation on its BCM63138 family of high-performance DSL SoCs for home gateways works with existing DSL infrastructure equipment, including single-line or bonded ADSL and VDSL. It also complements existing DSL performance techniques such as G.inp, and G.vector, and coexists independent of any other equipment in the network. By filtering out received noise on the subscriber line at the CPE in the residence, this advancement in DSL technology enables carriers to improve the quality of the received signal and deliver higher performing broadband to subscribers. 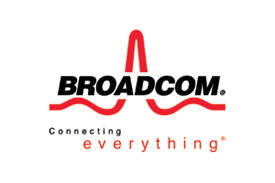 "Today's announcement builds on Broadcom's unmatched DSL portfolio, enabling operators to deliver high-bandwidth broadband services to meet growing consumer demand," said Greg Fischer, Broadcom Senior Vice President and General Manager, Broadband Carrier Access. "With the addition of RNC technology to Broadcom's BCM63138 SoC family, operators can deploy CPE that provide DSL subscribers with an unmatched performance improvement with no investment or change to existing installed infrastructure equipment." Marvell introduced an 1000BASE-T1 automotive Ethernet physical layer (PHY) transceiver compliant with the draft IEEE 802.3bp 1000BASE-T1 standard. The 1000BASE-T1 standard allows high speed and bi-directional data traffic over light weight, low cost, single pair cable harnesses. "As cars are being designed and manufactured with more sophisticated Advanced Driver Assistance Systems (ADAS), automotive manufacturers and engineers are looking for solutions to meet the growing in-vehicle connectivity bandwidth demands. 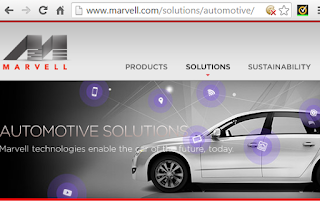 Marvell was instrumental in the development of the IEEE 802.3bp standard; therefore, I am thrilled that Marvell is the first silicon provider to offer a 1000Mbps automotive Ethernet transceiver," said Philip Poulidis, Vice President and General Manager, Automotive, Wireless and Internet of Things Business Units at Marvell. " Sampling begins in November 2015.